Exercise normal precautions in Tonga. Tonga is a South Pacific island nation consisting of 171 islands, of which 45 are inhabited. 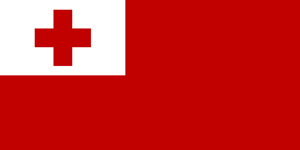 Tonga is a constitutional monarchy and a member of the British Commonwealth. Its agrarian economy is developing and its tourist industry, although limited, is growing. Tourist facilities are concentrated in and around the main island of Tongatapu where the capital, Nuku’alofa, is located. The Tongan Visitor’s Bureau has a wide range of information of interest to travelers. A former Peace Corps Volunteer shares his experience. TESOL Certification for Teaching English to Speakers of other Languages in Tonga.